Imagine, for a second, what the world of scanner would look like… pixel by pixel, taking note of what’s there and not there, putting each line together to ultimately form a complete image. Pixel Scan takes this concept and flips it on its head. Given just a small viewing area, an image slides across the board. Your task is to figure out what the image is based on what limited view you have. 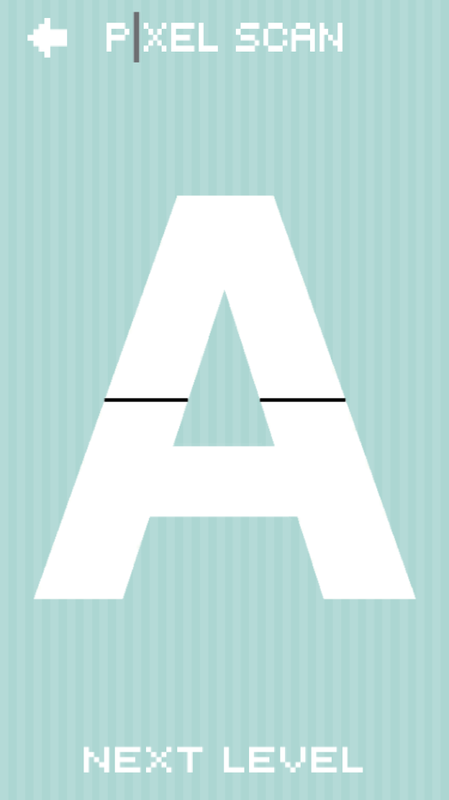 Is it a letter? Maybe a “G?” Perhaps it’s a dog, or a cat? Pixel Scan will have you twisting your brain in new and interesting ways. 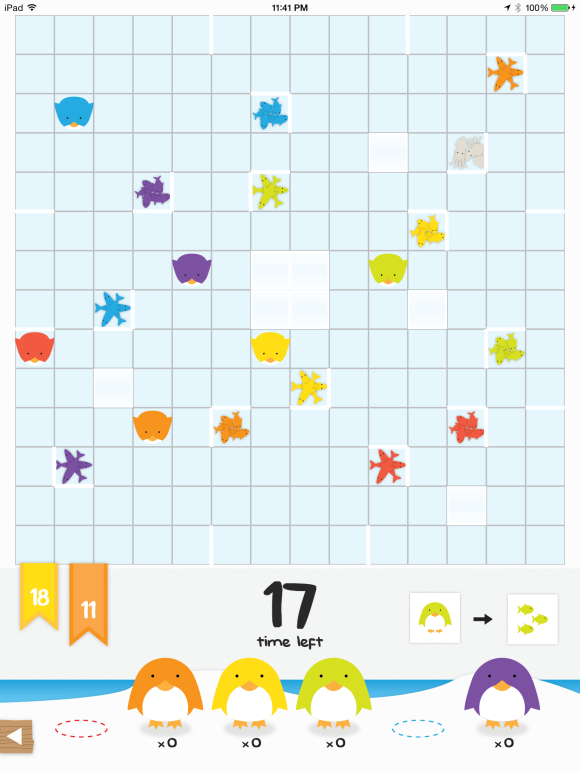 Download it today and start enjoying varying puzzles and levels of difficulty for free! What do you get when penguins from a zoo escape and find their way back to Antarctica? You get a whole bunch of starving penguins. As a wandering adventurer, it’s your task to help acclimate your feathered friends back into the wild–showing them how to find food for themselves. 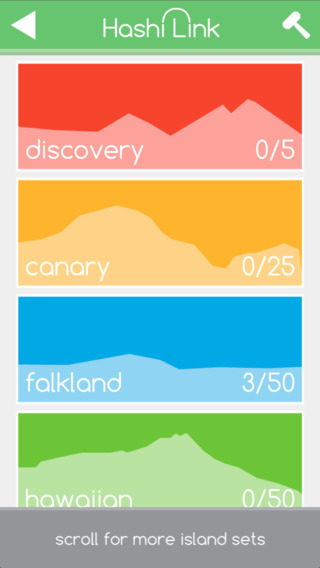 To do this, you slide penguins across the screen so that similar colored penguins eat similar colored fish. You can play by yourself or with up to 5 other players. 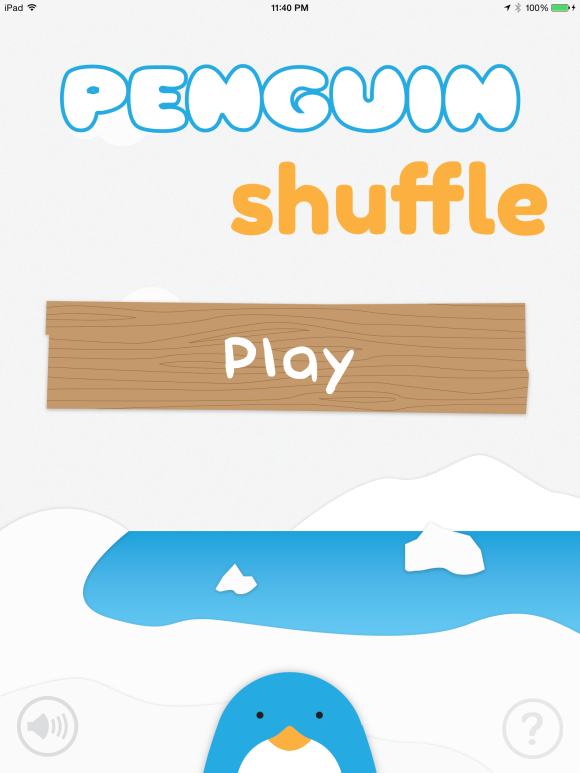 Penguin Shuffle is available now for iOS. Download it today! 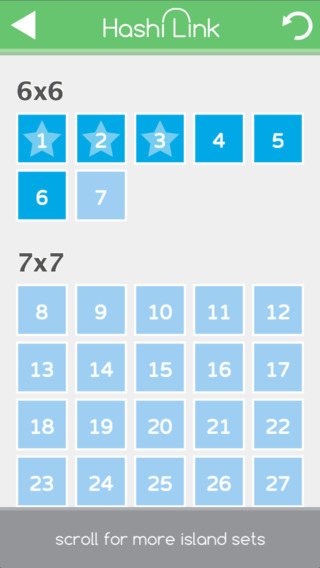 What do you get when you combine OmNom Apps’ user experience with a beloved Japanese number puzzle? You get Hashi Link–our latest mobile application for iOS. 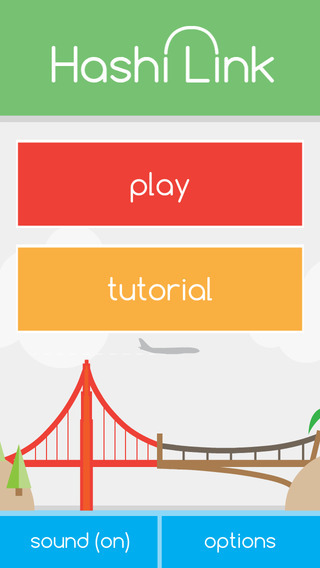 In Hashi Link, you take on the role of a bridge builder. Going from island chain to island, your task is to link islands together with bridges. Connections made must equal the number on the island. No more and no less. A maximum of two connections can be made between islands. All islands must connect to the large chain of islands. Connections made must also be made left and right, up and down. 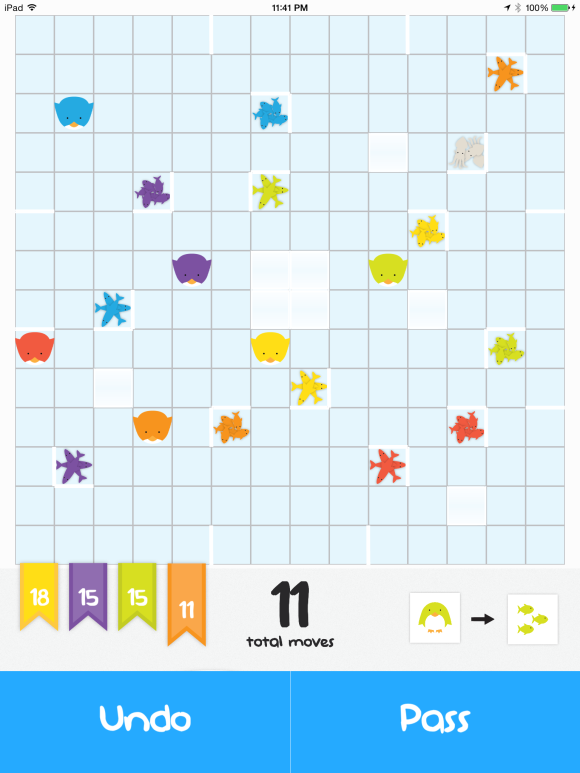 Hashi Link features hundreds of puzzles across many different island chains including the Hawaiian and Falkland Islands. Each chain of islands (or category) presents its own unique challenge with many requiring different logical approaches. As always, thanks again for your continued support. 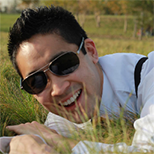 It’s players like you that keep us developing new and fun things for you to play! 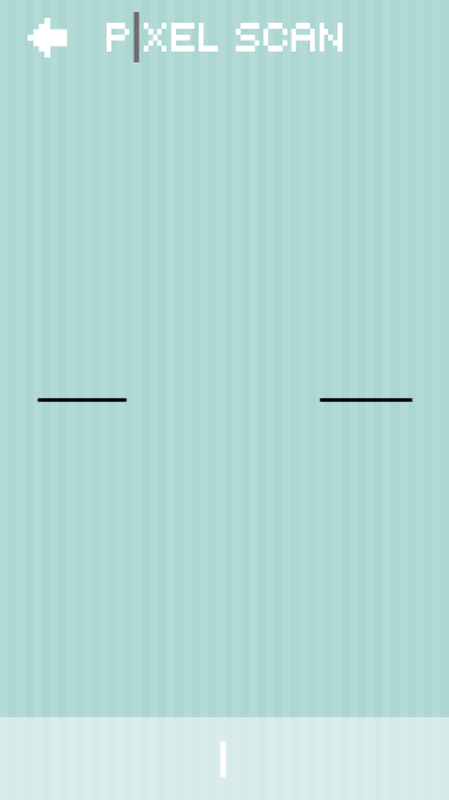 EDIT: Hashi Link is now available for Android. Check it out today! 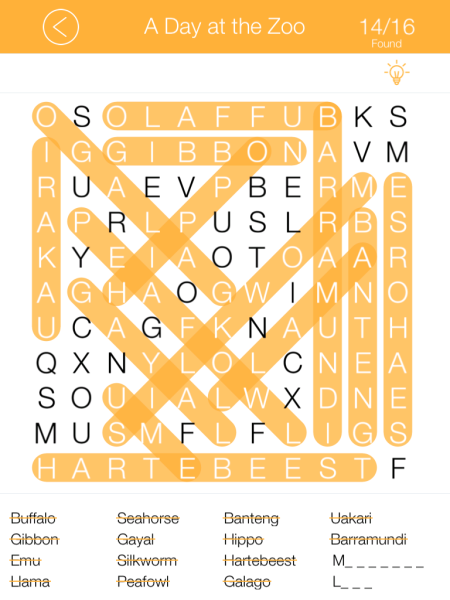 We’re proud to announce the latest addition to our collection, Word Search Master. 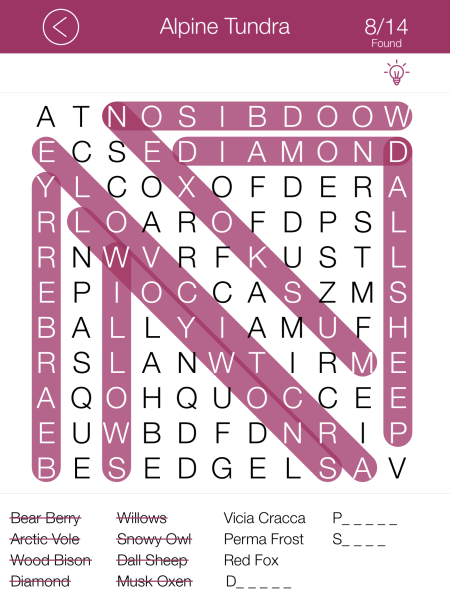 Word Search Master is an intuitive to use and elegantly styled word game for iOS. The style takes a page from iOS 7’s minimalistic design, making it both nice to look at and relaxing to play. 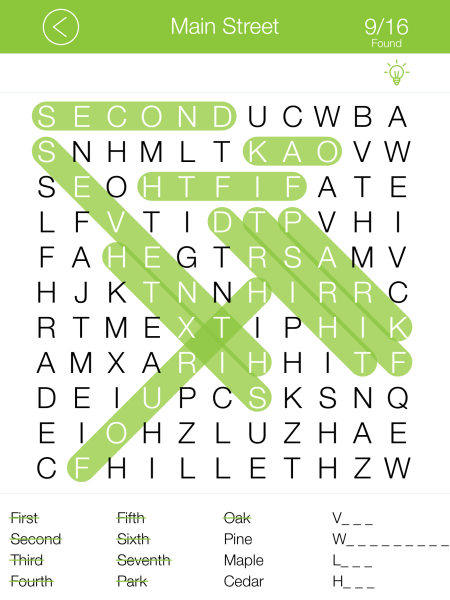 Word Search Master comes filled with hundreds of puzzles, each with over a dozen words. 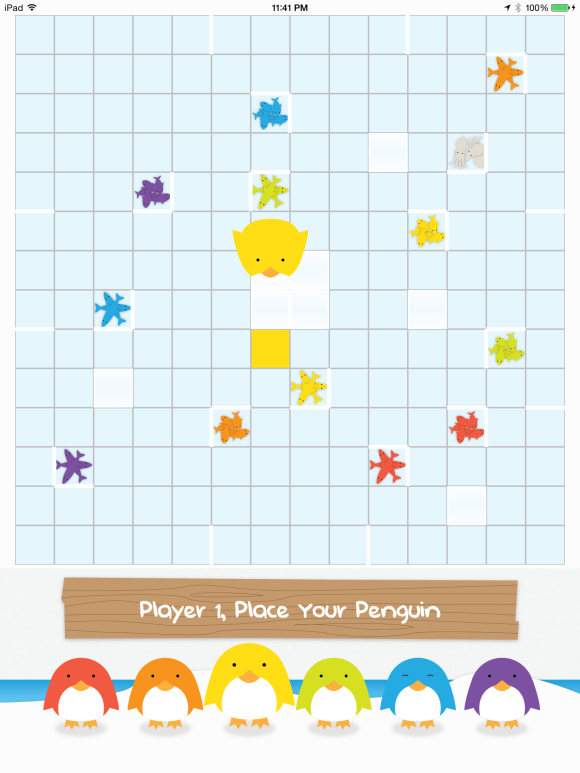 Puzzles are sorted into categories (like “Animals”) and individual puzzles (like “Night Owls”). 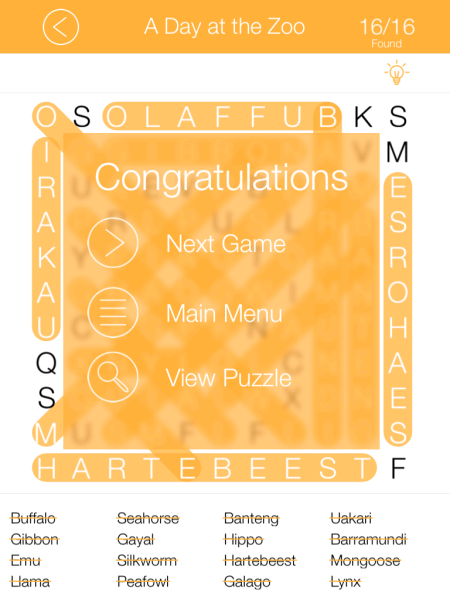 Puzzles are completed by finding all of the words in the word bank below the puzzle grid. 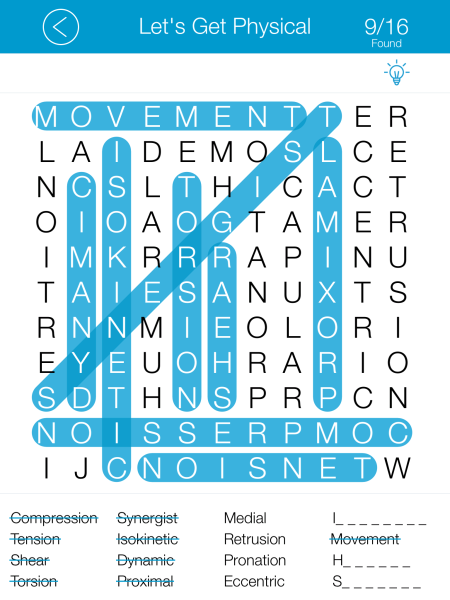 Each puzzle, however, also comes with a set of hidden words for players, like yourself, to find. 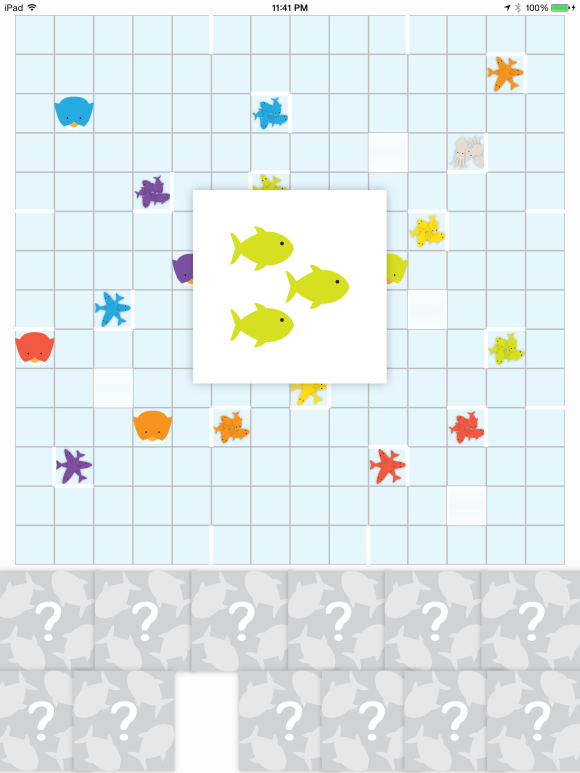 Players must use knowledge of the category and topic to find those words and totally complete a puzzle. To increase re-playability, the application features the option to reset the game so that players can start searching for words anew. Download the app today to get started with thousands of words. Hope you enjoy Word Search Master. Continue letting us know what you think and sharing our apps with friends if you like them. It’s people like you that keep us going! Develops mobile applications and downs milk tea with ease. Loves pumping iron. Makes things run smoothly and look nice. Soon to be Pokemon Master.